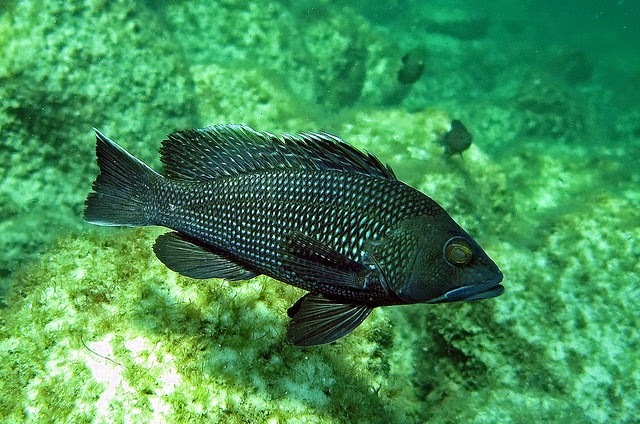 Sea Bass reopens from 3 fish to 15 fish at 12.5 inches on September 1st through September 6th. It will then be closed till October 18th when it will reopen for 5 fish till December 31st. We have been waiting all summer to get out there and lode up on this delicious fish. With the great flounder fishing in the ocean and the abundant number of mahi-mahi around this is a great time to get out on the water. So get the boat all geard up and ready if you do not have a boat get on a charter boat if the captains are all booked up jump on the party boat. What ever you do now is a great time to get out and do some fishing. Sean M and his dad Don headed out to do a little flounder fishing yesterday at the ocean city reef and after a couple throw back flounder and one keeper they drifted past a pot flag and sall 2 huge Cobia. Sean was ready he had a rod rigged with a fluorocarbon leader and hook. He reached in to the minnow bucket and grabbed the largest minnow they had and casted it toward the huge fish. The minnow landed about 5-10 feet from the cobia he immediately wet full speed at the minnow jumping out of the water as he ate it. Sean and his father where in for a 30 minute fight. Armed with nothing more than a small hand gaffe the two of them where able to wrestle the fish in to the boat. 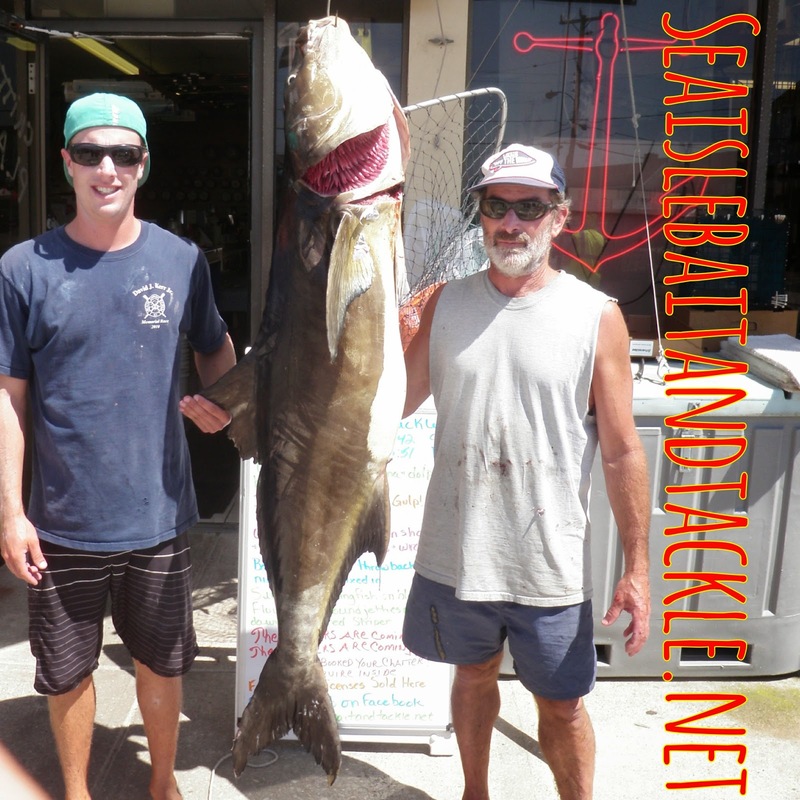 The cobia hit the scales at 86.4 pound and 62 inch JUST shy of the NJ state record.